Higher education leaders need to identify differences among generations of employees and students and develop a strategic plan for managing and motivating across the generations. This case study addresses the following question: “How do higher education leaders lead and motivate multigenerational employees and online students?” An understanding of the common characteristics of each generational group is the first step for developing a strategy for motivating all employees and students in higher education. Communication, mentoring programs, training, respect, and opportunities for career advancement are components valued by all. It is important for higher education leaders to understand the values, work ethic, and communication style of the different generations. The implications for higher education leaders lie in establishing an organizational culture that promotes satisfaction for all individuals in the higher education setting. As individuals are working well into their late 60’s or early 70’s, higher education leaders need to adapt their leadership styles to effectively manage, motivate, and retain employees from various generations. As Grensing-Pophal (2018) states, “By 2024, about 25% of the workforce is projected to be over the age of 55. That compares to only about 12 percent of the workforce in 1994. In fact, in some workplaces, 55 doesn’t even begin to signify time to retire. Those in their 60s, 70s, and even 80s also are deciding to stay in place either full time or part time. This trend has resulted in a new phenomenon: more generations in the workplace,” (p.1). Additionally, the flexibility of online learning promotes many adults to return to college. Students across generations have different communication styles and study habits. Online instructors need to be mindful of these generational differences and adapt a teaching style that promotes success for all students in the online classroom. The diversity of generational workers and students impacts motivation and retention of employees. Additionally, higher education leaders, such as department chairs, need to train instructors on communicating with multigenerational students. This is especially imperative in the online classroom where nonverbal cues are absent. As such, college leaders and instructors need to be knowledgeable of the differences across generations and leverage the strengths of each group. “When communicating across generations most likely it isn’t just one. Most of us are trying to reach a mix of individuals, but how does each generation like to be reached and how do we combine them,” (Aalgaard, 2015, p.1). While higher education leaders and instructors may be aware of the various generations in their institutions and classrooms, implications for motivating and managing across the generations may not have been considered. “Research indicates that people communicate based on their generational backgrounds. Each generation has distinct attitudes, behaviors, expectations, habits and motivational buttons. 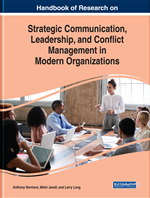 Learning how to communicate with the different generations can eliminate many major confrontations and misunderstandings in the workplace and the world of business,” (Hammill, 2015). Multigenerational Work Groups: The representative of four generations in the workplace. This includes Traditionalists, Baby Boomers, Gen Xers, and Millennials. Traditionalists: Individuals born pre-1945. Work ethic and values for individuals in this group include sacrifice and completion of tasks before personal enjoyment. Experiential Knowledge/Learning: This term describes knowledge gained through experience/learning through experience. Contrasts, and moreover conflicts, with academic knowledge and learning through instruction. Virtual Teams: Groups of individuals working in a professional or academic setting set out to achieve comma goals or completion of a project. Communicating is not face-to-face but occurs via electronic format. Work/Life Balance: Creating a balance between achievement and enjoyment. Work can also refer to tasks that need to be completed in the household in addition to a formal place of employment. Holistic: This term is used to describe an integrated knowledge structure or an approach to learning that recognizes that knowledge needs to be integrated. Generation Xers: Individuals born between 1965 and 1980. Work ethic and value for individuals in this group include wanting structure and direction. This group was the first focus on work/life balance. Baby Boomers: Individuals born between 1946 and 1964. Work ethic and values for this group include being a workaholic and a high level of personal fulfillment. Mentoring Programs: Formal or informal programs in which more experienced individuals assist individual with limited experience. Mentor programs can occur in the workplace as well as the classroom. Collaborative Learning: This term is used to refer to students working on a computer-based learning program that requires them to collaborate by, for example, taking different roles, operating different controls, etc. Millennials: Individuals born between 1965 and 1980. Work ethic and value for individuals in this group include questioning what is next and multitasking. This group also has a high interest in creating work/life balance.